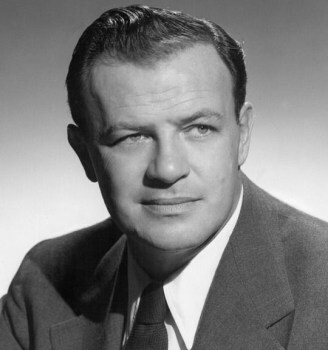 Joseph Mankiewicz was an American film director, script writer, and producer known for his elegant, witty and ironic scripts, and who had a long and successful Hollywood career during which he wrote forty-eight movie screenplays. He also produced over twenty films including 'The Philadelphia Story' which was nominated for the Academy Award for Best Picture in 1941. However, he is best remembered for his masterly direction of some classic movies. He twice won the Academy Award for Best Director and he directed 12 different actors to Oscar-nominated performances. His most celebrated work was the 1950 classic movie, 'All About Eve', which he wrote and directed, and which won six Academy Awards including Best Picture, Best Director and Best Screenplay. His elder brother was eminent screenwriter Herman J. Mankiewicz who won the Best Screenplay Oscar for 'Citizen Kane' in 1941. He was born Joseph Leo Mankiewicz on 11 February, 1909 in Wilkes-Barre, Pennsylvania. He was the youngest of three children born to German-Jewish parents who had emigrated to America from Hamburg in 1892. When he was four he moved with his family to New York where his father was a language teacher. His upbringing was safe and secure and once as a youngster he was drama coach at a summer camp owned by the Marx Brothers. He attended Stuyvesant High School and Columbia University and in 1928 graduated with a bachelor's degree. Joe was an ardent Germanophile and he traveled to Berlin to work as a journalist for the Chicago Tribune. After a few months, with the help of his brother, Herman, he secured a contract translating intertitles (title cards used as a narration device on silent movies) into German for Paramount Pictures. He returned to America in 1929 and became a dialogue writer on a number of Paramount productions, many of them movies starring the comedian Jack Oakie. Joe's first credited movie was 'The Dummy' in 1929, starring Oakie. Sound had just arrived and whilst Joe wrote the titles for the silent version, brother Herman wrote the dialogue for the simultaneous talkie version. In all he spent fifteen years in Hollywood as a writer and producer, before being given an opportunity to direct a movie. Initially, at Paramount he worked on films such as 'June Moon' in 1931, 'Million Dollar Legs' in 1932, starring Jack Oakie and W. C. Fields, and 'Too Much Harmony' in 1933 with Bing Crosby. His first major screenplay, which he co-wrote, was in 1931 for 'Skippy', a film about a boy and his dog, which became very popular and which helped to establish his reputation in the film industry. In 1936 he began producing for MGM, overseeing a number of the most notable films of the next few years for some of the most important and influential directors, such as Fritz Lang's 'Fury' in 1936, Frank Borzage's 'Three Comrades' in 1938, George Cukor's 'The Philadelphia Story' in 1940 and George Stevens's 'Woman of the Year' in 1942. Mankiewicz was impatient to take his first steps at directing, and in 1943, after a dispute with MGM chief Louis B. Mayer over the affair Mankiewicz was having with Judy Garland, he switched studios and moved to Twentieth Century-Fox, working for Darryl F. Zanuck. He began by co-writing and producing 'The Keys of the Kingdom' in 1944 which starred Gregory Peck, and featured Mankiewicz's wife, Rose Stradner, in a supporting role, and then in 1946 when Ernst Lubitsch's illness made him unavailable Mankiewicz finally got his first opportunity to direct with 'Dragonwyck', a stagy Gothic melodrama, hampered by bad casting and indifferent performances. Over the next six years he directed 11 films for Fox, reaching an artistic peak in 1950 and 1951 when he won consecutive Academy Awards for Screenplay and Direction for two artistic masterpieces, 'A Letter to Three Wives' and 'All About Eve'. Mankiewicz made 'A Letter to Three Wives' in 1949, taking the plot from a women's magazine story about an unmarried femme fatale who steals the husband of one of her three best friends, then leaves them in a state of confusion about which of their husbands she has run away with. The film sparkles with perceptive observations about social class and regional distinctions. Its characters are drawn with fine detail and Mankiewicz's sharp and witty dialogue brings the picture vividly to life. 'All About Eve' which he made in the following year simply has no equal. It is a backstage drama offering a dark and witty commentary on fame and celebrity and has been described as the finest movie ever made. Although it deals with Broadway rather than Hollywood, the film can be seen as a jaundiced view of Mankiewicz's own industry and its ever-increasing obsession with celebrity performers and writers. Mankiewicz founded his own production company, Figaro, in 1951 and moved from Hollywood to New York. The move was partially caused by his intense dislike of the Red-baiting tactics of the Hollywood studios, tactics which he famously and bravely contested as a member of the Screen Writer's Guild. The move to New York was also a result of his ambition to write for the Broadway stage.
. His Broadway dream never came to fruition but he continued to direct movies, both as a freelance and for his production company. He was willing to attempt different types of movie including Shakespeare and in 1953 he directed an adaptation of 'Julius Caesar' for MGM which featured Marlon Brando as Mark Antony. Brando received an Oscar nomination and the movie got rave reviews. His output slowed after 'The Barefoot Contessa' in 1954 but he continued directing high quality films of vastly different types. After a highly successful musical, 'Guys and Dolls' in 1955 he made 'The Quiet American' in 1958, an adaptation of Graham Greene's 1955 novel, and Mankiewicz was criticized for distorting the message of the book into a nationalistic propaganda film. One of his few failures was, paradoxically, one of his best known films. 'Cleopatra' in 1963, with Elizabeth Taylor and Richard Burton, took three years to make and spiralled financially out of control, causing huge losses. Even so, it won four Academy Awards and was the highest grossing film of the year. In 1967 Mankiewicz directed 'The Honey Pot', another major artistic achievement displaying his mastery of witty dialogue. His final film was 'Sleuth' in 1972 with Michael Caine and Laurence Olivier, for which he received an Oscar nomination for Best Director. Mankiewicz was something of a ladies' man and his name was romantically linked to many actresses including Ann Rutherford, Linda Darnell, Joan Crawford, Loretta Young and Judy Garland. He married three times, firstly, from 1934 to 1937, to actress, Elizabeth Young with whom he had one son. Then in 1939 he married the Viennese actress, Rose Stradner with whom he had two sons. She suffered from depression and in 1958 took her own life with an overdose of sleeping pills. In 1962 Mankiewicz married an English girl, Rosemary Matthews, the daughter of a chaplain to King George VI, and a production assistant who had worked with him on 'The Quiet American' in 1958. They had one daughter and stayed together until his death. After 'Sleuth' in 1972, Mankiewicz enjoyed a quiet retirement in New York, refusing all requests to start writing again. He died of heart failure in Bedford, New York on 5 February 1993. He is buried in Saint Matthew's Episcopal Churchyard cemetery, Bedford, New York.